When talking about MPEG files, many people will take it as MPEG-4 video file, leaving out MPEG-1 and MPEG-2 video file. Actually, MPEG is indeed taken as MPEG-1 or MPEG-2 rather than MPEG-4 which often comes with AVI or MP4 extension. Compared to MPEG files, WMV is relatively better format for Windows Media Player. 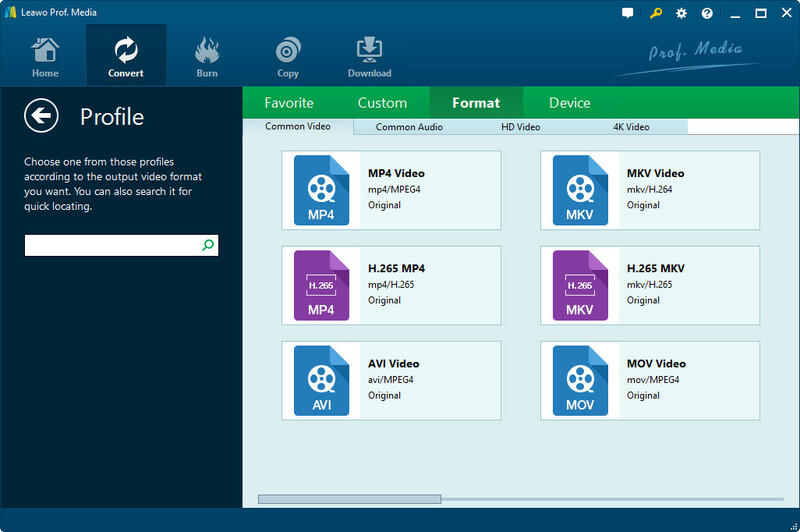 If you have MPEG files in hand and want to stream video from Windows Media Player to devices like Xbox 360, you can convert MPEG to WMV which is accepted by Xbox 360. MPEG, fully named as Motion Picture Experts Group, is the standards body made up of many large companies involved in technology and content creation in the video industry. The MPEG compression standards mainly include MPEG-1, MPEG-2 and MPEG-4. MPEG2 succeeded the MPEG1 to address some of the older standard’s weaknesses. MPEG2 has better quality than MPEG1. MPEG1 is used for VCD while MPEG2 is used for DVD. One may consider MPEG2 as MPEG1 that supports higher resolutions and capable of using higher and variable bitrates. MPEG1 is older than MPEG2 but the former is arguably better in lower bitrates. MPEG2 has a more complex encoding algorithm. To convert MPEG to WMV, an MPEG to WMV converter is necessary. Leawo Video Converter could help you complete the task easily and quickly. As an all-inclusive media converter, Leawo Video Converter could professionally work as an MPEG to WMV converter. The program is not only a perfect MPEG to WMV converter, but also a converter that can convert between over 180 video and audio formats. Besides, this video converter ensures lossless-quality output and super fast conversion speed. 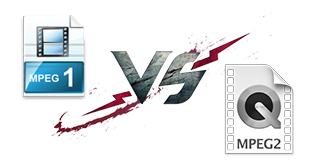 For Windows users, they should download and install Leawo Video Converter for Windows on their Windows computer to convert MPEG to WMV on Windows while Mac users should switch to Leawo Video Converter for Mac to convert MPEG to WMV Mac. As the main interface of Leawo Video Converter for Mac is the same as that of its Windows counterpart, the guide of converting MPEG to WMV on Mac is the same as that of converting MPEG to WMV on Windows with Leawo Video Converter. In the following, we take Leawo Video Converter Windows version as an example to show you how to convert MPEG to WMV. Mac users can follow suit to do the same task. 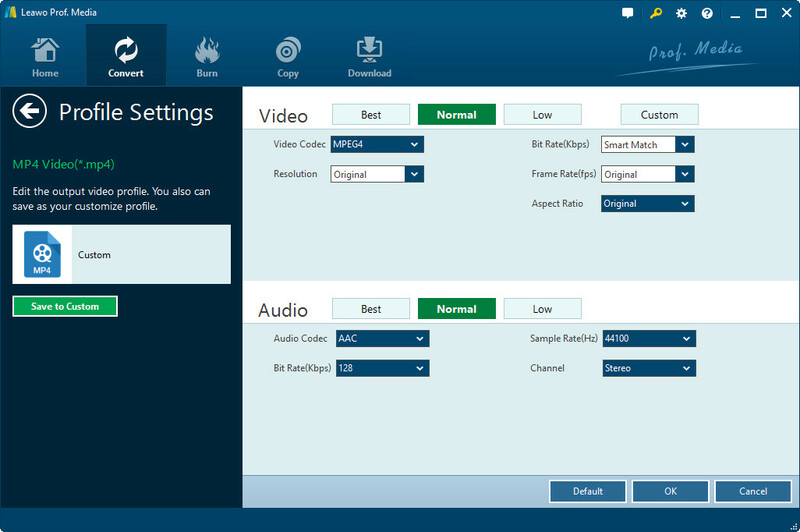 Launch Leawo Video Converter to enter the main interface, and then click the “Add Video” button to import MPEG video files you want to convert into this MPEG to WMV converter. Click the drop-down box before the green “Convert” button, and then select “Change” option on the drop-down panel to enter the Profile window, on which you need to open “Format > Common Video” group and then select WMV as output format. Note: After setting output format, by opening the same drop-down box and clicking “Edit” option, you could then adjust the video and audio parameters, including: video codec, aspect ratio, frame rate, resolution, audio codec, bit rate, channel, sample rate, etc. Click the “OK” button to save profile settings and return to the main interface. Return to the main interface and click the big green “Convert” button to call out a sidebar on the right. On the sidebar, set output directory in the “Save to” box. Finally, after setting click the bottom “Convert” button at the bottom of sidebar to start to convert MPEG to WMV format on Windows. After converting MPEG to WMV, you can easily play WMV file on Windows with the help of Windows Media Player as WMV is compatible with Windows Media Player. 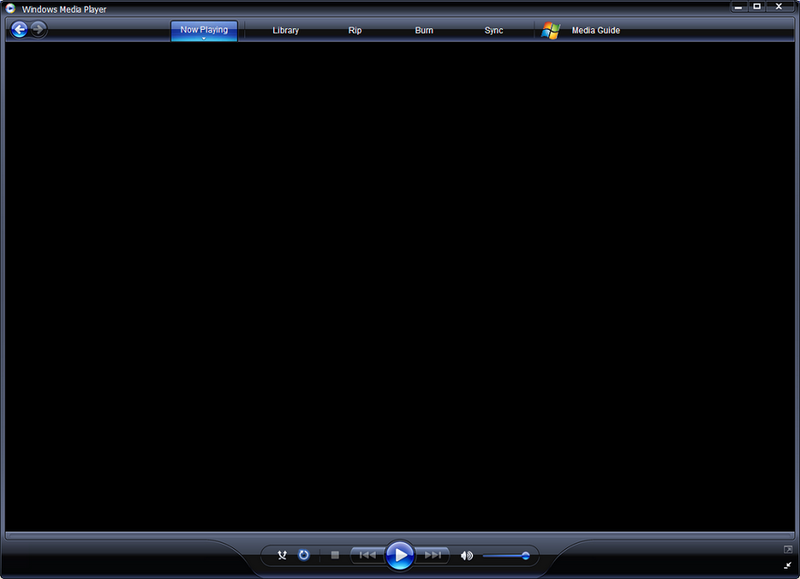 It is easy to play WMV file on Windows Media Player. You can directly drag and drop target WMV file onto Windows Media Player. Once imported, WMV file will be played immediately. However, if are using Mac, you cannot easily play WMV file on Mac after converting MPEG to WMV Mac. Such being the case, you can ask a third-party media player to do the task. 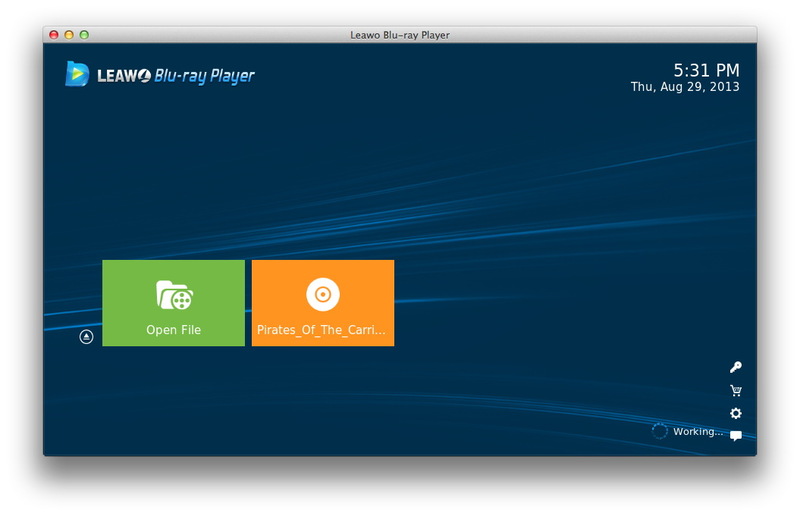 For example, you can utilize Leawo Blu-ray Player for Mac to play WMV file on Mac. It an easy-to-use program. On the main interface of the program, click “Open File” to browse and import target WMV file. Once imported, the file will be played immediately.